This piece was originally written for Dr. Andermatt’s Effective College Writing class, ENG 101. As each day passes, the damages to the climate and environment are magnified. Habitats are destroyed; pollutants are poured into the air and the ocean, and landfills pile higher. By far, the root cause of these things are the actions of humans. Many people are aware of this and try to take steps in their own lives to reduce their impact. These steps are admirable and move us in the right direction, especially in how they promote thinking about what each of us can do to make a difference. What many people don’t realize, however, is how much they contribute to one of the biggest culprits. Animal agriculture is responsible for the majority of humanity’s impact on greenhouse-gas emissions, water loss, and rainforest destruction. Many people take steps to combat CO2 emissions from transportation, suggesting biking to work, buying things locally, and using public transportation. But, data has shown that this is nowhere near the leading cause. According to the Food and Agriculture Organization of the United Nations, transportation exhaust, including vehicles on roads, rails, in the air, and in the ocean, all combined, accounts for 13% of all greenhouse gas emissions. However, recent studies have shown that up to 51% of the world’s greenhouse gas emissions are created by livestock or their waste. This is far more than any of the emissions from the fossil fuel industries. This statistic may be shocking to some people, and, indeed, it is disputed. Some cite a 10-year-old statistic that claims that animal agriculture is responsible for 18% of all emissions. (This is still 40% more than transportation). This statistic is still a cause for concern, but it has been shown to be very flawed in three main ways. It does not account for livestock respiration, which emits 8,769 million tons of CO2 into the atmosphere each year. Secondly, it does not take into account the photosynthesis-enacting plants that are destroyed to clear land solely for livestock. Lastly, it does not take into account the fact that methane gas, of which livestock emit nearly as much as natural gas mining, and nitrous oxide, for which animal agriculture is responsible for 65%, warm the atmosphere much more harshly than carbon dioxide in a 20-year period. There is currently a water crisis occurring in California. It is their worst drought in history, since record-keeping began. The government has issued restrictions on household water use, calling for 25% reductions. However, the much bigger culprit is animal agriculture. Each Californian uses about 1500 gallons of water each day. 47% of that amount is associated with the meat and dairy products that they consume. Only 4% is associated with daily household use, the portion that the state is calling to be reduced. Clearly, the real problem is being overlooked. In response to this, it has been said that some of the water used “stays in the water table” since it evaporates or enters the soil. However, when environmentalists suggest things such as taking shorter showers, watering your lawn less, and fixing leaking faucets, the same could be said of the water lost in those uses. The water lost on crops for livestock, mixing feed, maintaining livestock farms, and for animals to drink should be accounted for with the same standards. There is a huge problem in the developing world of people lacking access to fresh, clean water. The biggest taker of that water is animal agriculture. In the US, 55% of water consumed goes into animal agriculture. In the world, 1/3 fresh water use is accounted for by animal agriculture. Even in countries where people die of dehydration every day, much of their water goes into animal agriculture, whose products are then exported to other countries. There is an impending predicament of not having enough water for all of the people on this planet. In order to fix this, one of the big steps that we could take would be to change our diets to include less meat and dairy and stop subsidizing the practices that result in us wasting huge amounts of our freshwater resources. More than an acre of rainforest is cleared every second. Trees are killed, habitats destroyed, and species eliminated. 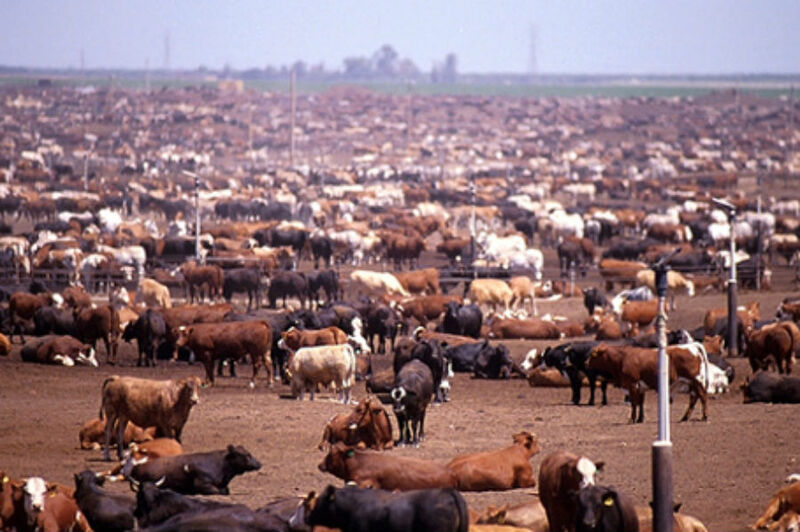 Animal agriculture is responsible for the majority of this destruction. 26 million acres of rainforest has been cleared for palm oil production. 136 million acres of rainforest have been cleared for livestock. Many environmental activists have taken efforts to support sustainable practices in logging and palm oil farming. This has led to some wonderful changes, such as brands excluding palm oil or purchasing only “Rainforest-Alliance Certified” palm oil. Lumber is often labeled as sustainably-harvested. These changes have certainly made an impact, especially on awareness. However, according to World Bank, animal agriculture is responsible for 91% of rainforest destruction. The real problem is never talked about. The palm and timber industries have absolutely done terrible amounts of damage to the rainforests. Many proponents for sustainable harvesting of palm and lumber have done admirable things. Yet, somehow, they never talk about the leading cause of rainforest destruction. Oftentimes, these well-researched people are not even aware of this truth. We need activism from people and governments to make these truths available. Currently, activists for this cause that do exist are often persecuted to extremes. In Brazil, over 1000 land activists have been murdered in the past 20 years. People outside of Brazil need to recognize this issue much more, as it seems that more can be done about this situation purely by reducing demand. Animal agriculture accounts for a very disproportionate amount of environmental change relative to its place in conversation. Very few people try to change anything about this huge problem. The majority that do are still oftentimes misinformed. Observing environmental news, you can see that the vast majority references things such as smog, energy production, and logging. The alternatives that are suggested are no less destructive to the environment on a long time frame. Claims about “grass-fed”, “free-range”, and “local” reference agricultural practices that are not sustainable and still contribute to the destruction of our earth. Making small changes and reductions in our diet can have a much larger impact than we realize, and there is no getting around the fact that changes need to happen with our consumption. Many people may say that one person doing something doesn’t affect the world. However, one person can change a relatively small, but meaningful, amount themselves and also impact the lives of those around them. Bringing attention to this issue is one of the biggest things that needs to occur. Meat and dairy are not sustainable practices. We need to ask ourselves: Are we really doing all we can? I am a Biology student at Paul Smith’s, just transferring this fall. I am originally from Colorado, but moved to New York last year. I chose to attend Paul Smith’s because of my passion for the environment, which is part of the reason why I am vegan. 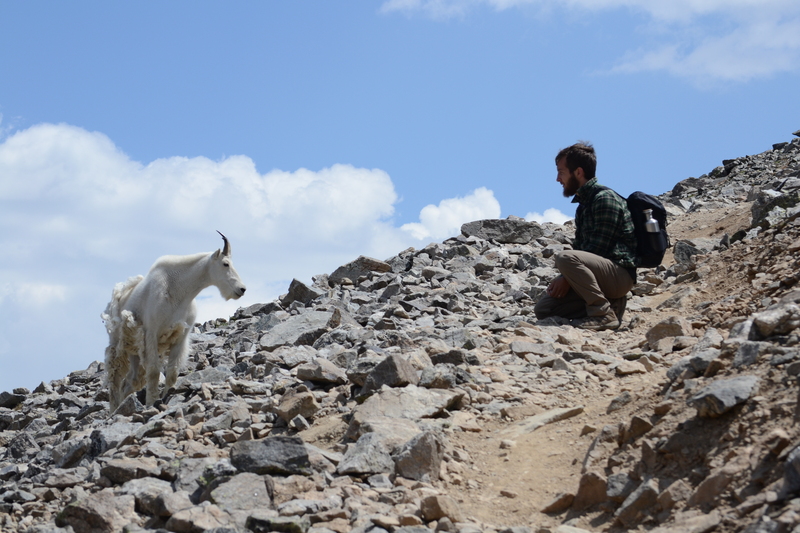 In my free time, I enjoy hiking and camping with my partner, working with animals, and traveling.